This recipe will bake 12 large cupcakes and it also works fine when doubling up too 🙂 I use a mixer but it will work perfectly fine with hand mixing also. Pre-heat your oven to 150 degrees and line your cupcake tins ready. In a separate smaller bowl, add your egg, sour cream, vanilla, vegetable oil, and mix together. Add your wet ingredients to your dry and mix in slowly until all combined. Add your melted chocolate & espresso coffee to the mixture. I do this bit by hand. Don’t worry about it being too runny either, this is normal. Use an ice-cream scoop to add your cases, fill a little less than you normally would (just a little under 3/4) as they will rise well, bake for around 22-25 minutes – this will vary depending on your oven. Voila! If you try this recipe please let me know how you got on and even share your results if you fancy 🙂 Enjoy! could this recipe also be used to make a big cake ? and if so about what size ? Hi Lucy, to be honest I do use a different recipe for big cakes so I’m not sure, but I think it may work for a small 2 layer, 8″ cake if you doubled the ingredients. If you try let me know how it works 🙂 Oh an I would reduce the cooking temp to 140 degrees 🙂 Natalie. It there a recipe you could reconmend for a 10inch cake? Looks to be a nice recipe. 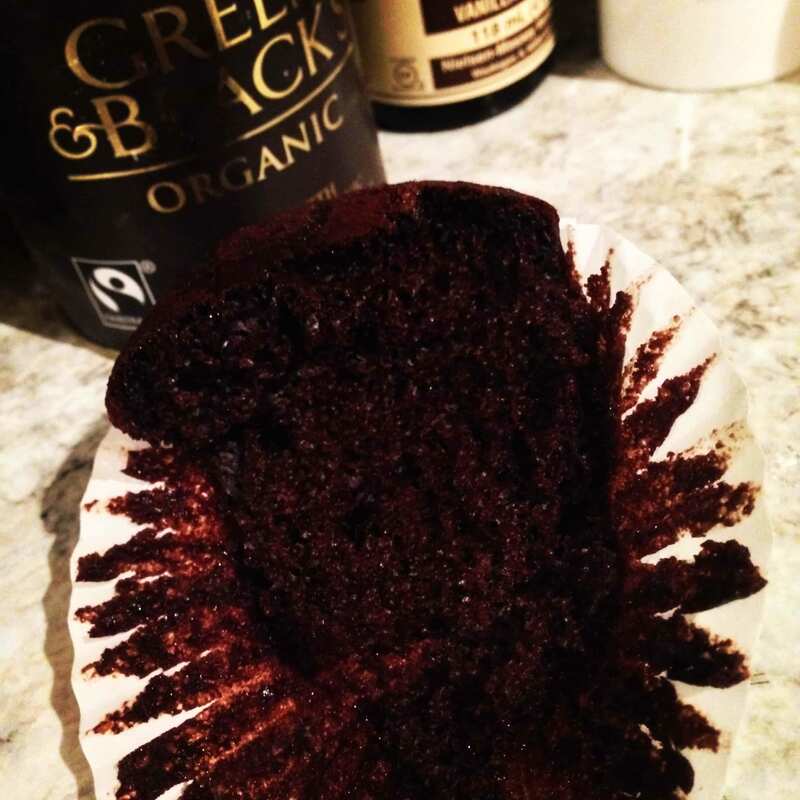 I’m the same as you, like to taste the chocolate 😉 One question though, chocolate cupcakes are prone to peel from their cases, how do these fare? I’m dying to make these cookies but I’m in Montreal and can’t find golden caster sugar. How can I substitute this? I’m in the middle of making this and can’t figure out whether the melted chocolate is meant to be decorative or whether it needs to be mixed in? Help! !